Linda Lael Miller is the award-winning author of many bestselling novels, including Courting Susannah, One Wish, and the Springwater Seasons series, as well as her acclaimed vampire romances, the first two of which are collected in Out of the Shadows. 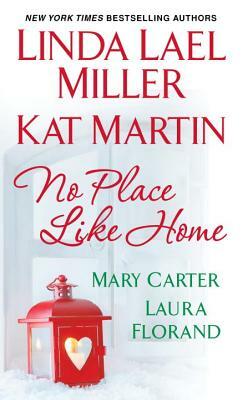 Kat Martin is the New York Times bestselling author of sixty-five books across multiple genres. Sixteen million copies are in print and she has been published in twenty-one foreign countries, including Japan, France, Argentina, Greece, China, and Spain. Her books have been nominated for the prestigious RITA award and won both the Lifetime Achievement and Reviewer's Choice Awards from RT Book Reviews. A resident of Missoula, Montana, Kat is a graduate of the University of California at Santa Barbara, where she majored in Anthropology and also studied History. She and her author husband, L.J. Martin, spend their winters in Ventura, California Visit Kat at www.katmartin.com. Or join her Facebook page. (www.facebook.com/pages/Kat-Martin). Mary Carter is a freelance writer and novelist. Her books include London From My Windows, Meet Me in Barcelona, Three Months in Florence, The Things I Do for You, The Pub Across the Pond, My Sister's Voice, Sunnyside Blues, She'll Take It, and Accidentally Engaged. Readers are welcome to visit her at marycarterbooks.com, find her on Facebook, or follow her on Twitter @marycarterbooks. Laura Florand was born in Georgia, but the travel bug bit her early. After a Fulbright year in Tahiti, a semester in Spain, and backpacking everywhere from New Zealand to Greece, she ended up living in Paris, where she met and married her own handsome Frenchman. She is now a lecturer at Duke University and very dedicated to her research on French chocolate.